In 1989, when reflecting upon leadership strategies in a new information age, Dudley Lynch and Paul Kordis drew from typified animal behaviour to develop a new model of management. You don’t need to be a ‘shark’, they said, to be a winner. 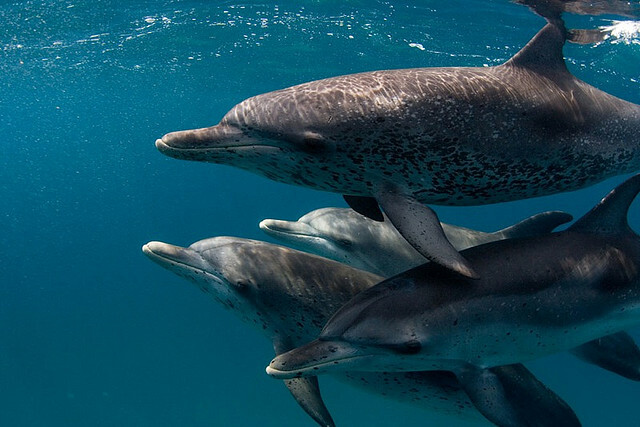 Rather, be a ‘dolphin’: be smart, adaptive, responsive, and look further afield. Interestingly, they subtitled their book  ‘Scoring a win in a chaotic world’. They might as well have been writing about the challenges of an ‘Asian century’ for Australia’s diplomacy. For Australia, the rise of the Indo-Pacific reality has obliged it to look further afield. A rising China is getting more explicit in contesting the regional security system, while America continues to invest considerable attention and resources to its Asian ‘pivot’. Other regional powers, such as India and Japan, are looking more to the Southeast Asian region—and beyond—to further their foreign policy interests. Indonesia’s ascent and Jokowi’s concept of a ‘global maritime axis’ are simultaneously reinforcing the geostrategic significance of Australia’s immediate neighbourhood; they also herald more complex diplomatic relations and power games between Canberra and Jakarta. Collectively, those dynamics push the nexus of regional politics and stability ever closer to Australia’s shores. Engaging Asia is therefore not a matter of choice, it’s a necessity. Moreover, Lynch and Kordis’ animal aphorisms, applied to the world of international relations, hold the promise of transcending such debates as whether Australia qualifies as a ‘middle power’, and whether ‘middle-power diplomacy’ is the best way to defend its interests in a transformational environment. Lynch and Kordis argue that in an era of organisational change there are three type of leadership strategies, mirroring the behaviour of sharks, carps, and dolphins. Sharks are insecure. They see the world as a zero-sum game, and act accordingly. They focus on survival and rely on power, prestige and manipulation to secure it. Carps are insecure too. Unlike sharks, they avoid conflict and seek to leverage sympathy. Guardians of the status quo, they think themselves the ‘eternal victims’ of change. Dolphins, finally, are those who make the best out of organisational change. They display pragmatic coping and communications skills, guided by a long-term purpose. They see opportunities where sharks and carps see threats. Where sharks focus on power and carps on relationships, dolphins resort to both. A creative understanding of its own geography and of the strategic environment. It remains a staunch supporter of the US-based status quo but deals with the ineluctability of the Asian century through conceptual creativity, as demonstrated by its endorsement of an ‘Indo-Pacific’ construct. The ready promotion of a positive-sum vision of international relations, even if zero-sum thinking is never far from the surface, as demonstrated in recent speeches and foreign policy decisions vis-à-vis China and Japan. A staunch commitment to both power and good relations with its neighbours as the basis of its security, demonstrated through its ANZUS alliance, coalition-building with other powers and its emphasis on the Canberra–Jakarta relationship. The skilled management of a dual dependency (China for prosperity, the US for security) from which it’s not escaping in the foreseeable future. Avoiding an impossible choice puts it in the same position as most of its neighbours, in pursuing a so-called ‘hedging’ strategy. Shoring up its status as a ‘G20 nation’ in the Asia-Pacific, a claim reinforced by its own leadership role in the South Pacific and its good relations with ASEAN countries. Finally, investing simultaneously in communication (claiming for itself the image of ‘good international citizen’), cooperation (in sponsoring a rules-based regional order), and self-help (through the modernisation of its armed forces). If we compare those features of Australian policy with Lynch and Kordis’ typology, we might conclude that Australia qualifies as a ‘dolphin’, but incompletely. Out of the six variables highlighted in the table above, Australia’s diplomatic behaviour fits the dolphin’s strategy in three (perspective to policy; base for security; and relation to rising power). It hovers between carps and dolphins on its perspective vis-à-vis systemic change. It lacks a long-term purpose, and oscillates between status-seeking and sympathy-seeking policies, between sharks and carps, in its communication aims. Finally, the main tools it mobilises to attain its professed foreign policy goals don’t fit easily in any one of the three categories. That assessment requires considerable refinement, but a quick conclusion is that Australia’s engagement of its Asian environment is dynamic and adaptive: it takes different forms according to the circumstances. More than a strategy, it is a reaction to far-reaching changes, and it takes place on different levels, with different logics at play. The Lynch-Kordis model has its limits. Still, it highlights some fundamentals of Australia’s foreign identity and action that are useful in both academic and policy circles. In an era of growing interconnectedness, moving constellations of power and fast-paced communications, Australia has adopted many of the dolphin’s tools without the most important of them all: a long-term purpose, fitting its own identity and its relationship to Asian and Western partners. ‘Dolphinhood’, after all, isn’t so much about leading the pack or being an indispensable partner; it’s about being true to oneself, and comfortable endorsing change rather than fighting it. Bruno Hellendorff is a research fellow at the Group for Research and Information on Peace  (GRIP), Brussels and Tanguy Struye de Swielande a professor in International Relations at University catholique of Louvain, Brussels. Image courtesy of Flickr user Willy Volk .